Fall is definitely a celebrated season in Colorado. 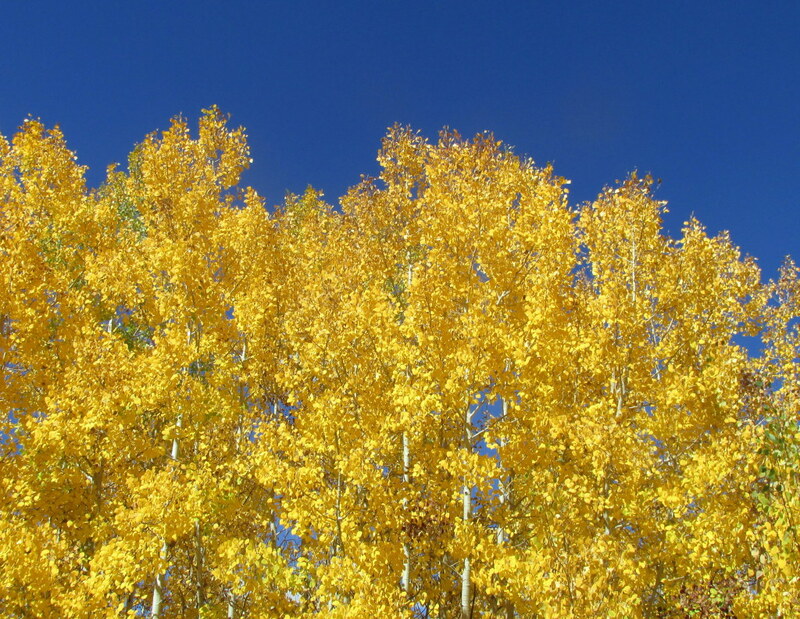 Not only do the leaves change to beautiful yellows, oranges and reds, and the temperatures drop but it is time for the Broncos to kickoff the season and end it with a Super Bowl victory. It is the season for pumpkins, and when warmer foods like soups and stews are the preferred palate. With Oktoberfest just ending a couple weeks ago it is also the time of year to recognize an amazing beverage…beer. Us Coloradoans celebrate beer all year long. How can you not with the never ending selections of great breweries that are scattered across the state. Colorado has over 200 breweries, the third most breweries after California and Washington State. 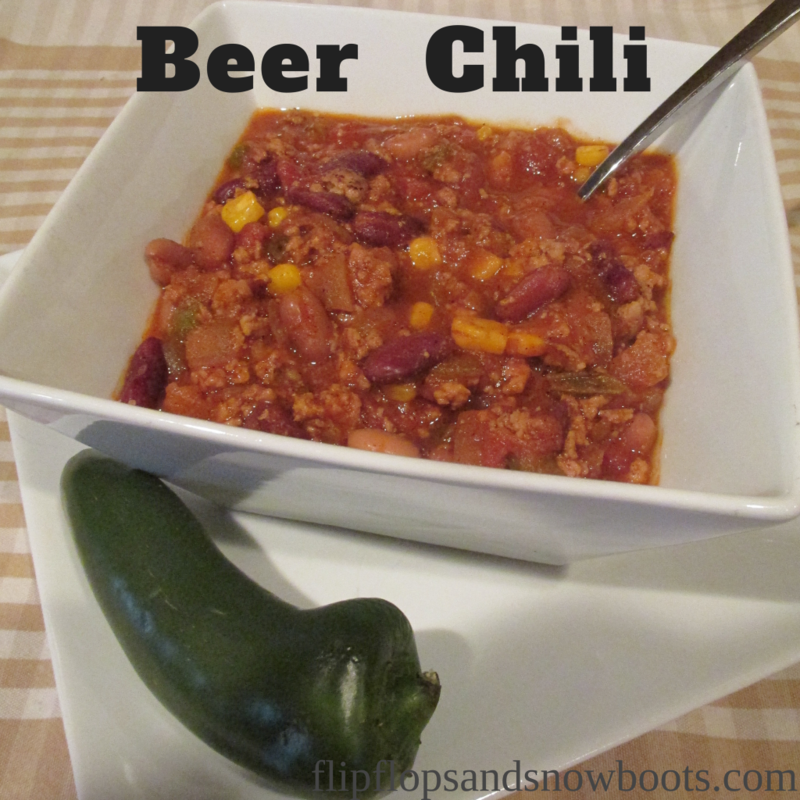 This recipe combines three of fall’s favorites, chili, beer and Sunday Football. So get cozy! *See below for different ways and reasons to cook with beer. On medium to high heat sauté onion and garlic for about 5 minutes. Add turkey meat and brown for 8-10 minutes. Add the jalapeño and corn. Cook for another couple of minutes. Add the rest of the ingredients (from beans to pepper). Bring to a boil then simmer on low for 60 minutes uncovered. – Don’t choose a beer to cook with that you wouldn’t drink. – Many recipes that call for wine can be substituted with beer. – Many dishes including stews, soups, and even sweets can be flavored with beer. – Beer can add a rich earthy flavor to some dishes and a sweet nutty taste to desserts. – Don’t worry about getting drunk, the alcohol evaporates during the cooking process. What recipes have you made using beer? I would love to hear about them! This looks amazing! And you are right – it’s totally perfect for a football day. I can’t wait to try it! Yes beer with anything and everything is perfection!